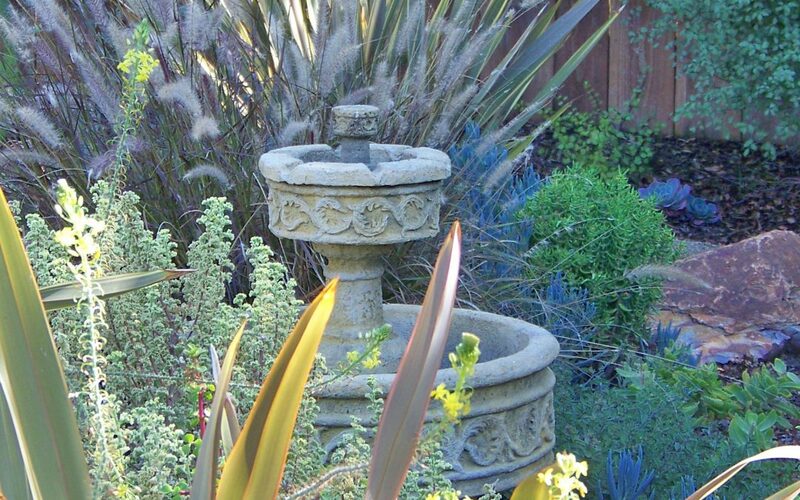 Living in San Diego, we have so many options to explore as to how to use our outdoor spaces. For one individual, having a useful space to enjoy the outdoors, entertain or host family gatherings may be the impetus for a new design. 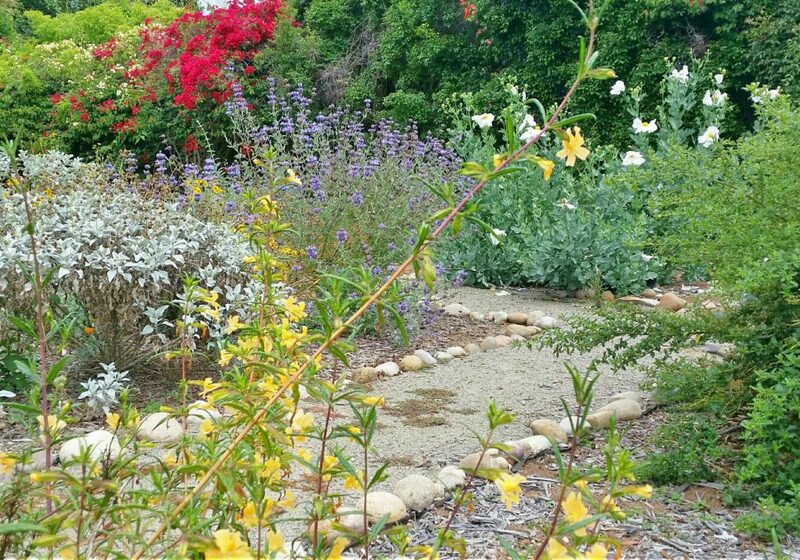 Yet, others may want to amble through a garden of native California plants or simply attract wildlife such as hummingbirds. This space is about the overall aesthetic and circulation to move about the garden. And a third viewpoint may be to have only low maintenance plants which look good, but require little in the way of care or use of the space. Lastly someone who values a food source from their property will want to seek out ways to make the area as productive as possible and reap a harvest of freshly picked vegetables, fruits or herbs. San Diego outdoor designs all have a common denominator of the nearly year round effects of greenery, flowering plants and how we design these precious exterior environments. Our Mediterranean climate dictates our wet winters (aren’t we fortunate to have had ample rainfall, thus easing our severe drought conditions?) along with long periods of picture perfect dry weather. With this in mind, we do need to have a strong sense of the type of plant materials to use in our outdoor spaces. Water will however, will remain an issue as its cost will not likely ever be reduced due to the supply. Our region will continue to grow in population and develop an even greater dependence of our water supply. Designing for the outdoors still has to account for nature, whether in the form of severe weather, destructive animals, gophers and rabbits to name a few, and the even city requirements that dictate what can and cannot be built in certain areas. The city of San Diego’s Development Services website gives you a taste of what requirements are needed to add an outdoor structure or a fire place. We live in a world where we do have our hands tied for various reasons and all of these factors shape what our San Diego Outdoor Designs can become. Other significant uses to our outdoor spaces may include recreation, far beyond the lawn. I’ve had clients add sports courts, bocce ball courts, swimming pools, spas, outdoor kitchens, fire features, decks, patios, pergolas, shade sails and so on. Most of our properties are walled or fenced in, allowing for a certain element of privacy, but what about the two story house next to you? We need vegetation that will grow to 10 or 12 feet tall to secure our spaces from our neighbors. And, depending how much maintenance you want to budget for, certain types of plants can achieve that goal without the ongoing cost of a gardener. The relentless sun also creates the need for cooling and shade in the form of trees. Having a shade tree can cool you home in the heat of summer and fall. Not to mention the benefit of offering refuge to wildlife. Our San Diego outdoor designs can take on many forms. Each homeowner has different priorities, needs, and expectations. This makes it a fun experience as a landscape designer as no too designs are alike. Where one project may encompass a wide variety of plant material for the couple who plans to retire and actually wants to putter in their garden, versus a young family whose main desire is to have a safe environment for their children to grow up and a place to sit to supervise at times. So when you are ready to really consider the value of a professional design that considers all of your needs, your budget and your benefits of the landscape you desire, give Letz Design Landscape the opportunity to show you what you can achieve with the space you have adjoining your home.